(iv) The Center — 1,300 horsemen commanded by Rana Pratap himself. Pratap had possession of two elephants, Lona and Ram Prasad, while had no musket or artillery as they had to be left in Kumbhalgarh for it’s protection against a siege. Pratap also received aid from a Bhil chieftain of Merpur in the form of 400 Bhil bowmen, but these bowmen were in the rear and were only used to ply their arrows from the forest or hill cover. Since the battle was fought in a pitched style in an open plain, the Bhil bowmen had no influence on the battle whatsoever and hence, their numbers should not be added to the total strength of the army. The battle was started when Pratap led a ferocious frontal assault against the large Mughal army which was divided into conventional divisions as has been described in the previous post. At the head of the charge was the vanguard made up of ferocious Afghans under Hakim Khan Sur, and the Rajputs under Ramdas Rathore who routed the 75 skirmishers under Sayyid Hashmim Barha making them flee for their lives. The Afghan-Rajput vanguard then collapsed into the vanguard of the Mughal army which was commanded by Jagannath Kacchwa and Ali Asaf Khan. The Mughal vanguard was also broken and forced to give ground due to the great slaughter of Mughal troops led by Ramdas Rathor, Bhim Singh Dodia and Hakim Khan Sur. Behind the vanguard, the 3 parallel divisions of the Sesodia army were following and they too collapsed into the corresponding enemy divisions. The Mughal left wing (made up of Rajputs, Sheikhzadas of Fatehpur Sikri and Badakshis) was utterly routed and all it’s men either fled or took refuge in the right wing. 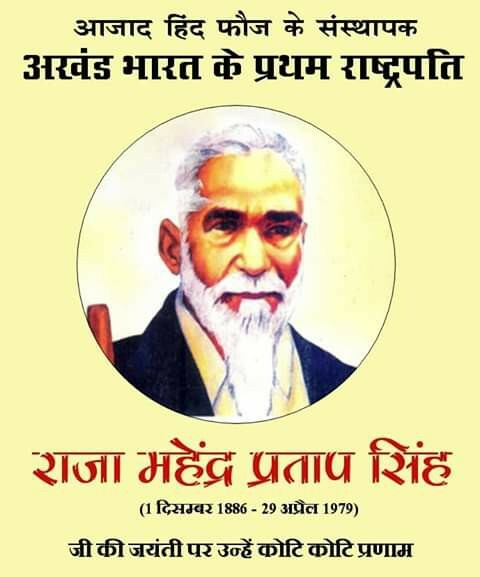 Therefore, the plan of Rana Pratap to put all he had in one cavalry charge with great momentum and break the enemy lines seemed to be successful in the start. The left wing of the army and it’s vanguard sustained an utter defeat, and the official historian Al Badayuni says that “they fled away without drawing rein for miles.” Lunkarn Shekhawat and Qazi Khan were thus routed by Ram Singh Tomar, and Ram Singh Tomar (along with his three sons) now joined the centre and stood in front of Rana Pratap so as to protect him. The right wing was also greatly pressed but luckily for the Mughals, the Sayyids of Barha bravely held their ranks inspite of the great slaughter led by the Jhalas. They were further strengthened by the reserve sent by Man Singh, and in this way, the right wing proved to be the pivot point of the battle. Man Singh proceeded to engage the centre led by Rana Pratap, and commanded Mehtar Khan (who was in the rear) to come forward and cover his left flank which was exposed due to the rout of his left wing. By this time, the momentum of the Pratap’s initial cavalry charge had been lost, and the battle entered the second stage. Thus, the battle had been stabilised. Because of the small numbers, Pratap had no rear or reserve to follow up the initial success gained by a ferocious and headlong frontal assault. Pratap staked everything in making one bold charge on every front, and even though he was awarded with significant initial success, the Mughal centre and reserve had now come forward to repair the damage, while there was no reserve for Pratap to follow up his initial success. The Sesodia men were loosing their morale by seeing themselves surrounded in three sides and the Muslims plying their arrows and musket shots on them continuously. All the divisions of the army were now being pushed towards the centre, and the charges led by Mewar horsemen could not build enough momentum so as to break enemy lines, due to the dead bodies lying everywhere. Therefore, to break the enemy line, Rana Pratap ordered an attack by his elephants who were reserved for later. The first elephant, Lona crushed many enemy troops but was now opposed by the Mughal elephant Gaj-mukta. The two elephants made a head-on collision, and the Mughal elephant was left dazed. Before Lona could advance further, his driver was hit by a bullet and the elephant retreated to the Mewar centre. 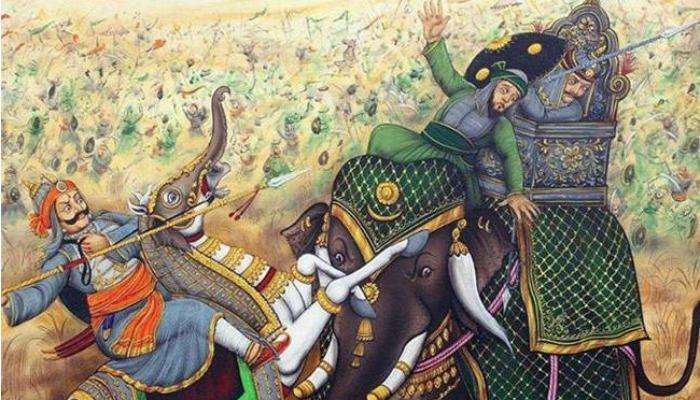 The second elephant, Ram Prasad made an even greater impact and sent many Mughals flying. To oppose him, two Mughal elephants, Gajraj and Ran-madar were sent. Before these heavily armoured beasts could clash into each other, the driver of Ram Prasad, Pratap Singh Tomar was shot down by an arrow. Now, a driver from one of the Mughal elephants quickly jumped onto Ram Prasad and managed to bring it under his control. After the brief elephant combat, the hand-to-hand combat was resumed. The men who lost their horses, now weilded their daggers and swords to attack the men of Men Singh Kacchwa. Ram Singh Tomar always kept in front of Rana Pratap and according to Al Badayuni, he “performed such prodigies of valour against the Rajputs of Man Singh as to baffle description. Similarly, the young heroes who acted as the bodyguards of Man Singh performed such exploits as were a perfect model.” The battle had raged for nearly three hours by then, and the Rana was now wounded by arrows and spears. The battle had turned irretrievably against the Maharana, and both the left and right wings had now crowded into the centre. Man Singh Jhala (also known as Bida Mana) who commanded the left wing, now knew that a defeat in the battle was certain, but the war could still be won if the Rana managed to escape from the battle. Therefore, he snatched away the royal umbrella (chattri) from over the head of the Rana, and ran into the Mughal lines with it, shouting that he was the Maharana and challenged the imperial soldiers to capture him. Every Mughal captain who immensely wished to earn the honour of being the killer of the emperor’s great enemy rushed towards him, and Bida Mana died a martyr’s death. Rana Pratap along with every alive soldier, all the supplies and civilians managed to escape and left nothing behind. A pursuit was not done because Man Singh was afraid of any ambush that might have been planted in the narrow Haldighati pass. Because of this, Rana Pratap had ample time to evacuate Gogunda with all the baggage and supplies and when the Mughal army proceeded to capture Gogunda on the next day (19th June), they found it empty. All they found there was some brave Rajputs who had volunteered to stay back so as to protect their temples. Since Rana Pratap had banned every kind of farming, cultivation or herding while Chittor was under the enemy, there was absolutely nothing in the countryside for the Mughals. Apparently, the only spoil they gained from the battle was the elephant Ram Prasad. Even though the Sesodias had to retreat, the battle should be considered a tactical victory for them as they managed to escape without giving any prisoners or supplies, even when outnumbered three to one; and their resistance against Mughals was never halted in future. After a “victory” in the battle on 18th June, Man Singh collected his exhausted troops and reached Gogunda on 19th June, but it was completely evacuated by now, and therefore, no booty was gained. Rana Pratap, along with his army relocated to the region around Kumbhalgarh and started a guerrilla campaign against Man Singh. Also, Rana issued an order banning the raising of any types of crops. This was a deathblow to the men of Man Singh, as they quickly exhausted all the supplies in the range of their foraging parties, while the supply caravans arriving from Mughal base in Western Mewar were all looted by Rana’s men. Therefore, Man Singh could not sustain his army and elephants, and abandoned his position at Gogunda, leaving behind some men in the towns that he had occupied. In a few days after he left, all of eastern Mewar including his capital Gogunda was quickly liberated by Pratap, and new raids were made into Western part of the kingdom. Man Singh was assigned the task to capture the Rana and make him submit, and in this, he utterly failed. Now, Man Singh’s army moved to Ajmer where they met Akbar who had arrived there on 26th September, 1576. Akbar was very disappointed at Man Singh’s failure to suppress the Rana, and himself took a large army to Gogunda and established military posts at Mohi, Madar and many other places. One army was sent to occupy the small town of Udaipur which was only in it’s infancy then and another was sent against the chief of Idar (an ally of Mewar) who had revolted just after hearing of Pratap’s success against the Mughals, and raided Mughal territory. The Rao of Idar was forced to submit. Before coming to Gogunda, Akbar had also subjugated the chiefs of Sirohi and Jalor who were allies of Mewar and they too had revolted after Pratap’s success againt Man Singh, and raided Mughal territory. They were all made to submit, and the territory of Rana was encircled. Akbar, now sent a large army under Man Singh Kacchwa, Bhagwant Singh Kacchwa and Qutbuddin. They were given the task to follow Pratap into the hills, bring him out, capture his strongholds and make him submit. But this army was again harassed by guerrilla tactics of Rana Pratap who looted all their supply trains. Due to the lack of supplies, Man Singh and Bhagwant Singh retreated back to their base, without fighting a single battle. Akbar was extremely displeased and angered at this, and refused audience to Man Singh. Meanwhile, poor success of Man Singh in suppressing the Rana was presented to Akbar by his enemies as being due to his sympathy for the Rana, both being Hindu Rajputs. But Akbar realised that all these complaints were merely the result of their envy at seeing a Hindu’s rise to the highest rank in the Mughal court. Abu Fazl describes these envious courtiers as “tricksters, time-servers and evil-inclined wordspinners.” Disappointed Akbar then left Mewar for Malwa, and all his military outposts in Eastern Mewar were destroyed and their garrisons were slaughtered. Eastern Mewar was again liberated immediately by Rana Pratap, and raids into the Mughal territories started again. The failed and disappointed Akbar left Mewar on 27th November, 1576. As soon as he left, Maharana liberated Udaipur and Gogunda, and slaughtered Mughal garrisons of Mohi and other places. 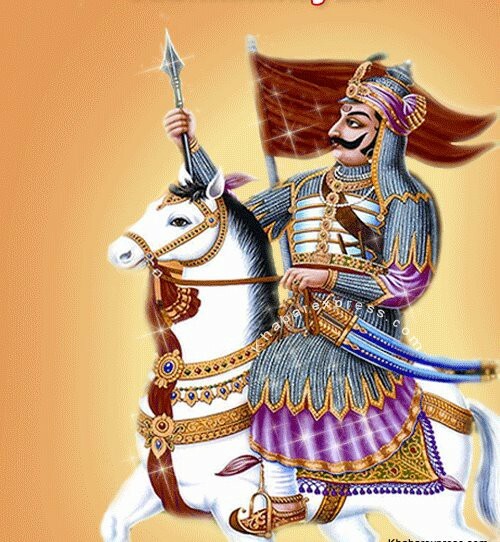 According to Vir Vinod, Maharana did not sit peacefully for even one minute; and during this time, he did not even remove his armour and helmet. The road from Agra through Mewar was captured, and thus, the path of the Mughal armies and the path of Mecca pilgrims going to Gujrat through Mewar were blocked. Mughal emperor became furious at this, but now he was in Meerut. From there he sent a large army under Shahbaz Khan Kamboh, Man Singh Kacchwa, Maharaja Bhagwant Singh Kacchwa, Payanda Khan Mughal, Sayyid Hashim Barha, Ulag Asad Turkoman, Mirza Khan Khankhana, Sharif Khan Atgah, Ghazi Khan Badakshi, Sayyid Qasim, Sayyid Raju etc. Shahbaz Khan was a Mir Bakshi of the Mughal empire appointed in 1572 and had proved himself in many great campaigns. On reaching Mewar on 15th October, 1577, he started his mission to capture Rana. But he was greatly harassed by guerrilla units of Pratap, and therefore, he requested another army from Agra. Akbar sent another large army under Sheikh Ibrahim Fatehpuri and it joined the forces under Shahbaz Khan Kamboh. Before proceeding towards Kumbhalgarh, Shahbaz Khan sent Man Singh and his father Bhagwant Singh back, as he did not want any Hindus to accompany him on this campaign. 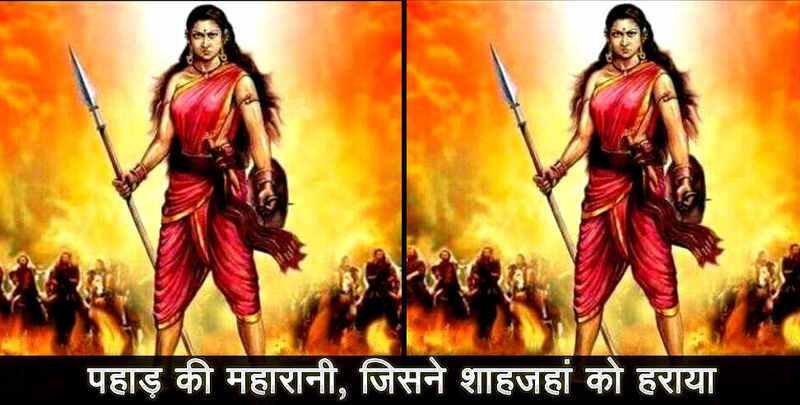 This completely Muslim army then marched straight towards Kumbhalgarh and mercilessly destroyed villages and towns, and slaughtered innocent people of Mewar. After a siege of several months, a small fort of Kelwara was captured, and from there Shahbaz Khan laid seige on Kumbhalgarh, where Rana was present with his army. Here, luck ran in Shahbaz Khan’s way, and a big gun of Kumbhalgarh exploded and destroyed most of the war materials and supplies. Rana Pratap evacuated the fort overnight and in the morning, the empty fort was captured by Shahbaz Khan. 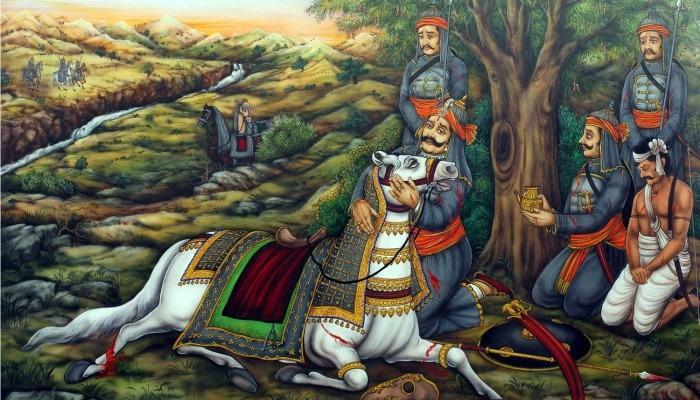 Maharana again took refuge in forests and hills. He first went to Rampura which was ruled by Rao Durga. Here, he was warmly welcomed and given protection by his clan-brothers. After this, the Rana went to the hills of Banswara and lived there for some months. While living here, he received help from his prime minister Bhama Shah who sent 250,000 rupees and 20,000 gold coins his way (apparently, he gained this wealth by looting Mughal territories) and these helped the exhausted Rana to strengthen his army and prepare for his conquest of those areas which were now occupied by Shahbaz Khan. Meanwhile, from Kumbhalgarh, Shahbaz Khan launched attacks on Udaipur and Gogunda and captured them. After this, he wandered in hills of Mewar searching for Rana, but after three months, he returned empty-handed to Akbar. For all his boasts in the Mughal court, he did not fight a single battle with Pratap and gained no major booty. Before leaving, he established 50 military posts and garrisons in the forts that he captured. During his campaigns, he did a lot of destruction, burned cities and engaged in bloody massacres of civilians. However, it had the exact opposite effect, and as soon as he left, Kumbhalgarh and all forts and towns were liberated by Pratap, and the Muslim garrisons were completely slaughtered without leaving a single man alive. Thus, Pratap paid him back in his own coin, and the success of his long campaign was nullified. With this ended the first campaign of Shahbaz Khan. It was not a success but with some luck, he still managed to capture Kumbhalgarh in a very short time. He proved to be a great general and his march from Gogunda to Udaipur was so quick that it has been greatly praised by military historians. Akbar was impressed by him, and as soon as Rana again started raiding Mughal territories, he sent Shahbaz Khan again to Mewar. I’ll write about the later campaigns of Shahbaz Khan in the next post. Before ending, let us see in more detail the activities of Pratap after Shahbaz Khan left, and how he liberated Mewar again. After hearing that Shahbaz Khan had departed after loosing his hope, Rana moved to Chappan mountains, leaving his earlier position in Banswara. After gaining financial help from his Prime Minister Bhama Shah, he attacked the Mughal army stationed at Diwer. This army was led by Sultan Khan and he faced the Rajputs bravely. 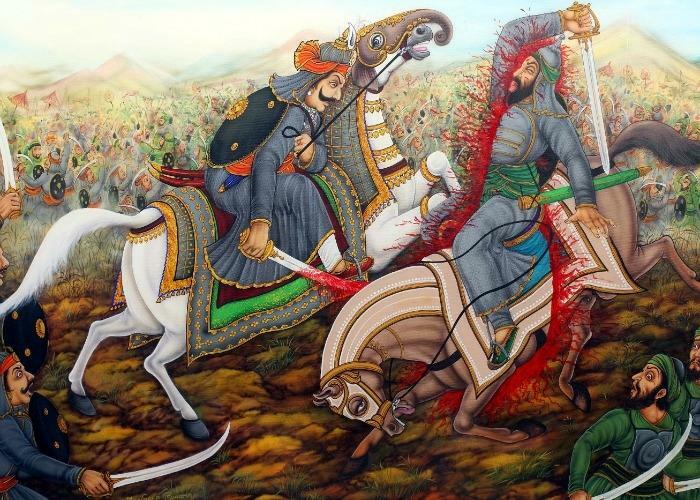 In the battle, Sultan Khan was killed by a spear thrown by Amar Singh Sesodia, prince of Mewar. Another soldier of Mewar badly injured the Mughal elephant. The battle was easily won and the Mughal soldiers fled or were killed. After gaining control over Diwer, Pratap captured Hamirsara and set out to besiege Kumbhalgarh. After a brief siege, the mighty fortress was captured and the Mughal soldiers there were slaughtered. Ghazi Khan Badakshi, the man who was put in the command of Kumbhalgarh by Shahbaz Khan, was beheaded by the Rana. After this, Jawar, Chappan, Bagad, Chavand etc. were all captured from the Mughals, and the Rana made Chavand his centre for a next few days. After this, raids were launched everywhere in the Mughal territories as far as Malwa. Tarachand, the brother of Bhamashah, who had also fought at Haldighati, was campaiging near Bassi and there, he met Shahbaz Khan who was on his way back to Panjab. Tarachand was defeated and badly wounded. Rao Chaindas escorted him safely to Chavand. Meanwhile, the chiefs of Dungarpur and Banswara and the former allies of Rana, Rao Aaskaran and Rao Pratap respectively, now started having friendly relations with Akbar. This alarmed Pratap and he sent an army under Rawatman to bring them under his control. The armies of Rawatman were helped by Rao Chandrasen of Jodhpur, and they met with the joined armies of Dungarpur and Banswara at the river Som. Rawatman was victorious in this battle, and both the chiefs temporarily accepted Maharana’s suzerainty. But after some time, Dungarpur, Banswara again revolted and this time, they received help from the Mughals in the form of a large army. Another battle took place at the Som river, and this time, Pratap was not successful. But it kept the Mughals busy and gave Pratap more time to strengthen his hold over Mewar. Meanwhile, Sahmal, the son of Rao Aaskaran of Dungarpur, who hated the Mughals, joined the Rana in Chavand. Rana now occupied the plains of Mewar and started waiting for the next step of Akbar. So far, Akbar had gained almost nothing from his numerous campaigns. After hearing about Pratap’s activities and raids, Akbar was outraged and again sent Shahbaz Khan to his second campaign, as he had done a satisfactory job in the first campaign. This time Akbar gave him strict orders that his goal was to make Rana accept Mughal suzerainty, and this was to be accomplished at all costs. Shahbaz Khan was given huge amount of money, so that the Rajputs can be bought off, if necessary. Turkic military leaders like Muhammad Hussain Mirza, Sheikh Timur Badakshi, Ali Khan etc. accompanied him. After reaching Mewar, Shahbaz Khan started building military posts and strengthening his control over cities and towns. After this he wandered cluelessly in hills and forests of Mewar, looking for Rana. But Rana was nowhere to be found. After losing hope, he returned back to Agra, and Rana became active once again. Meanwhile, Rao Chandrasen, an ally of Pratap, revolted and marched with his army to Ajmer. Here he was defeated by a huge army in command of Payan Muhammad Khan. This revolt kept Mughals busy and gave Pratap some time to establish control over Mewar. Now, Akbar was becoming restless. He had conquered everything from Khandesh to Kashmir, and Gujrat to Bengal, but was continuously failing to subjugate Mewar. He offered many prayers in Khwaja mosque of Ajmer, but he never saw much success. After praying for a long time in the Ajmer mosque in October 1579, Akbar sent Shahbaz Khan to Mewar for the 3rd time. Pratap went into the hills again. Shahbaz Khan did all he could, and searched every corner of Mewar, but this time, Rana had taken refuge in mountains of Sodha, which are at a distance of 12 k.m. from Mt. Abu. Here Rao Dhula of Loyana gave him full respect and protection. He married his daughter to Maharana, and Maharana gave him the title of Rana. Akbar was saddened by another failure, and in disappointment, he called Shahbaz Khan back in July 1580. Rustom Khan, the subehdar of Ajmer, was assigned to leadership of Mewar campaigns, but before he could proceed, Kacchwa Rajputs of Sherpura revolted. Rustom Khan went to suppress this revolt but was killed. Now, Abdul Rahim Khan-i-Khana (popularly known as Rahim), a famous Hindi poet, was appointed subehdar of Ajmer and was given the task to capture Rana.e, Amar Singh arrested women from the enemy camp along with a Mughal officer and brought them before Pratap. 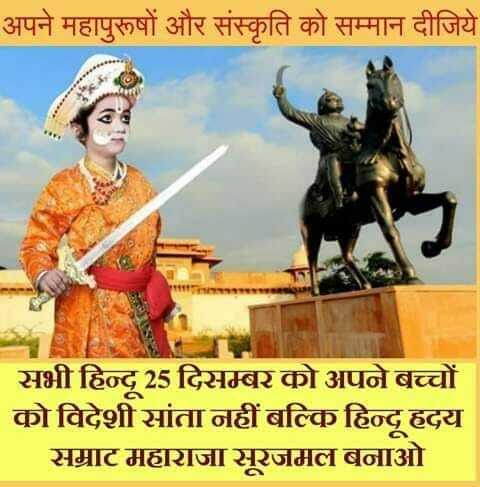 Rana Pratap rebuked his son for this act. 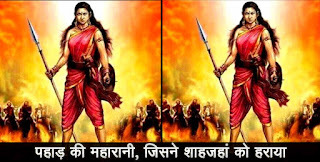 He ordered to send women back to their camp with escorts.When Rahim Khan-e-Khana who was preparing to assault Maharana Pratap came to know this incident, he withdrew his forces. 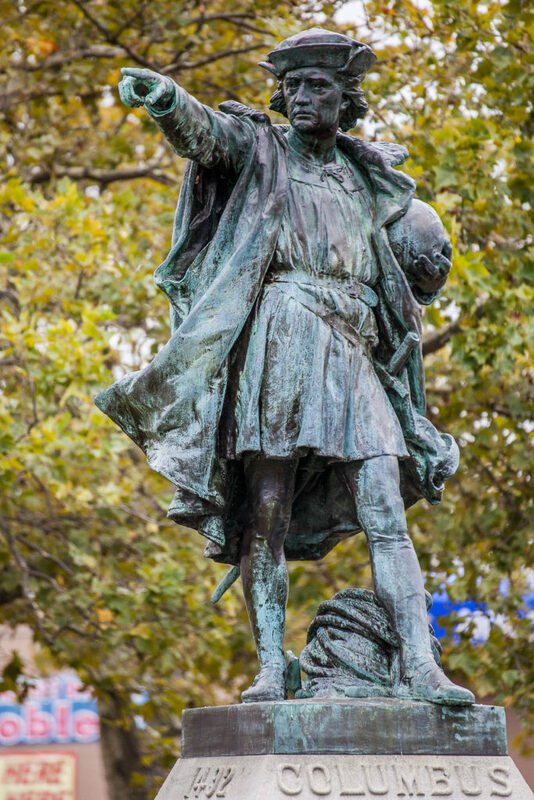 Like most people in the world today, I grew up being indoctrinated to believe Christopher Columbus was a hero that discovered America, nothing could be further from the Truth. 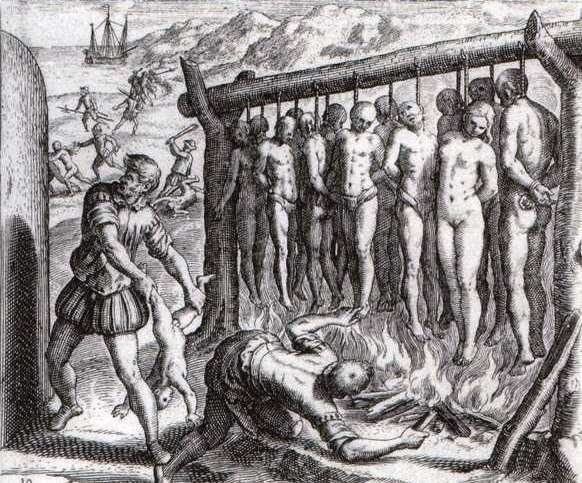 Not only did Christopher Columbus not discover the Americas — since it was already inhabited and he was actually in search of India and therefore lost — but he was what could justifiably be called a psychopath, since he oversaw mass murders, tortures and rapes carried out under his watch. In fact, he helped facilitate what is arguably the greatest genocide in known human history. The world might have never known about what really took place here, had it not been for the investigative journalism of a priest named Bartolomé de las Casas, who in the beginning supported Christopher Columbus until he became aware of the atrocities being committed. He wrote A Short Account of the Destruction of the Indies, which documented some of the most disturbing crimes against humanity in history. In his writing, de las Casas documents how the invading colonizers brutally murdered babies, burnt innocent civilians alive, cut off the hands of workers who did not meet their quota for mining precious resources, and tortured, raped, and trafficked women, amongst other things that invariably document an indefensible genocide which has gotten far too little attention in the history books. 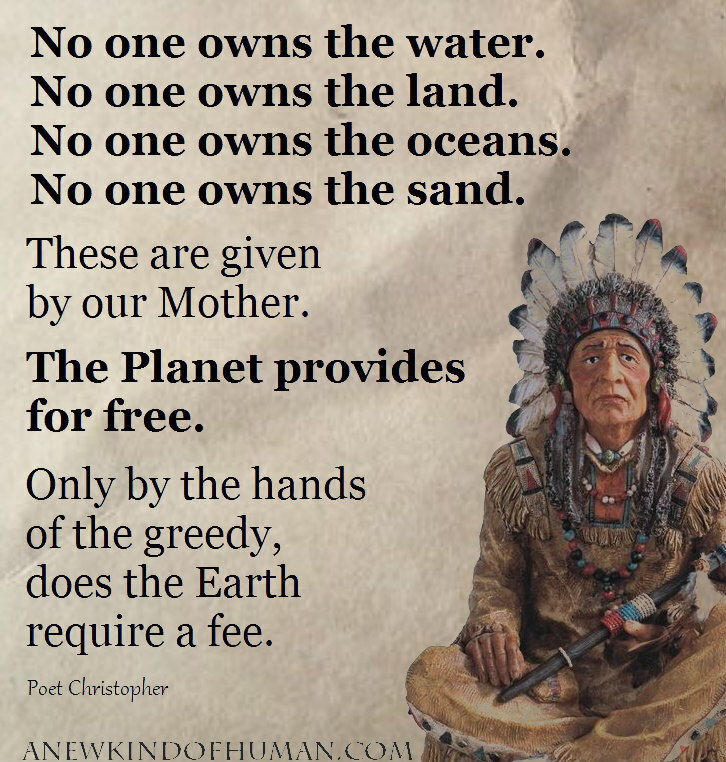 Although most people would argue that the Native population were savages, and backwards, Christopher Columbus’ journal clearly refutes these claims, where he himself noted how remarkably kind and giving they were, how they shared everything they had, and how they had no weapons and were timid. Although the common person would blame religion — as if it has a mind of its own — for these grave crimes against humanity, they were actually originally inspired by profit and greed. Historically, this has almost always been the case, with public justification being that the authorities are spreading Christianity, or the more modern propaganda of spreading democracy. You see, Columbus was sponsored by the crown of Castile, in hopes of finding a land rich in natural resources and minerals. And when he returned with news that supported their hopes, including slave labor to be exploited, and a people that could easily be conquered, they proceeded forward with their plan. Through inner circle politics, the Spanish elitists then contacted Pope Alexander VI (from the rich and reputedly corrupt Borgio family) and had him give a public declaration “in the name of God” that stated they had rights to take their land there, and justify an invasion and enslavement of the locals (through the use of politically persuasive language of course) by making it seem like they were on a mission to help create a better world and fight evil. In fact, Columbus documented in his own journal that, “should I meet with gold or spices in great quantity, I shall remain till I collect as much as possible, and for this purpose I am proceeding solely in quest of them.” In short, it was never truly about spreading religion, that was more of a cover story, it was always about profit and greed. This might seem foolish and naive for people to believe by today’s standards, but the same thing still goes on to this very day, except the Pope has been largely replaced by the TV and mass media. In other words, the public gets deceived into supporting these crimes through the use of clever propaganda by the ruling class and their cronies, on the grounds of believing it to be a humanitarian campaign. 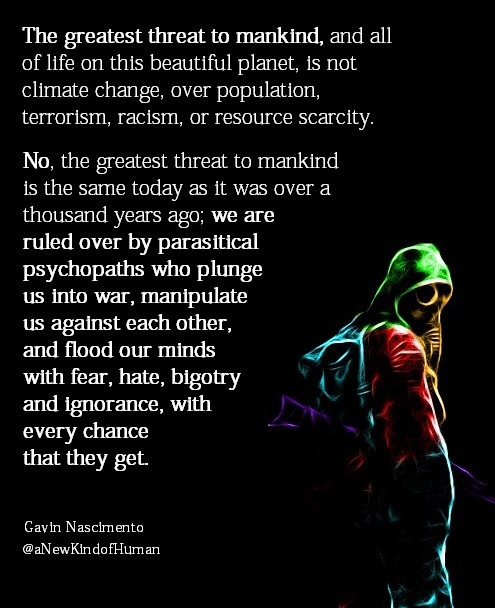 But it’s not about religion, it’s about a cancerous so called elite exploiting the vulnerabilities of human nature. This is an important distinction to make — that a small minority are the true root cause of the problem — because far too often in relation to history, those who are not well researched will blame the crimes of the very few on the many (an entire skin color, religion, country, political party, etc.) without considering the proper context of what really took place. Furthermore, those who have been indoctrinated to associate their sense of self with their flag, skin color, religion, or other social construct, will often fall into the trap of becoming defensive of these crimes, feeling themselves to be under attack. This essentially amounts to clever politics and psychological warfare on part of the high level ruling class, because what this invariably does is create division amongst the very people that need to unite in order to intelligently deal with the true root cause of the problem. The good news is, more and more people have become aware that Christopher Columbus was no hero, but a criminal of the highest order, and have actually helped change the traditional holiday of Columbus Day, to Indigenous People’s Day. Although this is undoubtedly a victory, the overwhelming majority still remain largely unaware of how the ruling class continue to exploit the vulnerabilities of human nature. They do this by manipulating our perception of who our real enemy is, in an effort to justify their selfish insatiable greed of invading foreign lands, and exploiting both domestic and foreign people across the globe, amongst other things.